Much to the delight of faculty and students, the College of Business has grabbed the attention of the business education world yet again. Top Management Degrees, a popular online business education and career guide, has recognized the affordability of SIU’s online MBA program by placing it in the publication’s “Top 50 Affordable Online MBA Degree Programs 2015” rankings. Total cost of the program. 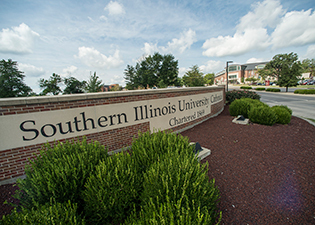 The program offered by SIU’s College of Business came in at No. 39 on the list. Online MBAs have become an increasingly popular way to further one’s education without leaving the practice. They offer a high-quality education at the pace of the student – and a great return on investment, too. Regardless of where you are in a given career, getting an MBA can help you advance. For additional information on the ranking, and a full list of the schools listed, please visit topmanagementdegrees.com. If you would like to learn more about the online MBA degree offered by SIU, please contact Jeffery Reece at 618/453-3030 or GradPrograms@business.siu.edu.